Poetry Swindon welcomes all who read, perform, write, or engage in poetry in any way, and aims to enhance the life of poetry in Swindon. We’d love you to join in with us - enjoy more poetry, read more poetry, and be part of buzz that is Swindon’s poetry scene… it only exists because of you - our energized, passionate, and wonderful poetry audience​​​. 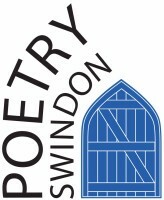 ​​About us - Poetry Swindon started in September 2008 as a group dedicated to helping poetry thrive in Swindon. Originally known as BlueGate Poets, its early meetings were in the sitting room of the Richard Jefferies Museum, with the name and logo inspired by the little arched gate of the old farm house. It seems fitting that the place is now our proper home. Poetry Swindon meets regulary at the Richard Jefferies Museum, at least monthly, for a writing session plus an open mic. Our Battered Moons Poetry Competition also runs each year - dates to be announced. 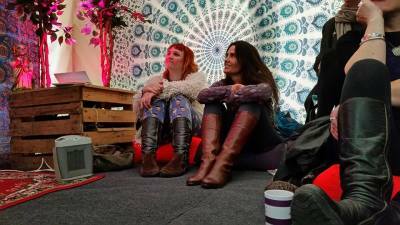 We also welcome you to become a member and help us continue the work we do in the community as well as for local poets, bringing great poetry to Swindon. You also recieve 15% off events and be in our annual anthology published at Christmas. To become a member, click the button below and click on the TICKET link on our Eventbrite page. Plans are well under way for this year's poetry festival. Check back here for upadets as soon as they become available. "Swindon! Where your poems turn into films & transform museum walls, where you perform in twinkling chequerboard tents, where sunsets bleed into fat moons while bonfires crackle with song."